Technical analysis is a methodology used in attempt to assess price of financial instruments and predict their future fluctuations following examinations of historical market data, most notably price changes. A technical analyst will study charts and graphs that illustrate the security’s previous market price movements in order to estimate future price shifts and the potential strength of the market instrument being analysed. This article aims to assist you as you learn technical analysis, helping you to understand the basic definitions and techniques which can be employed. A simple interpretation of technical analysis is the study of the influence of supply and demand on the market, in an attempt to figure out the future movement of the price trend. The methodology employed in technical analysis stands in direct contrast with that of fundamental analysis. Technical analysts largely disregard the intrinsic value of stock or currency, instead favouring to scrutinise past price variations and trading activity. The basics of technical analysis stem from two key assumptions that have been adopted from Dow Theory. Firstly, technical analysis relies on the assumption that all market price movements do not occur at random but are, in fact, predictable patterns and repeating trends. It is assumed that any other factor that may influence the strength of a security is clearly illustrated in its current or past market price and is, as a result, entirely irrelevant. A second key assumption stems from the belief that all market price movements are completely predictable. As well as assuming that all price movements take place in these identifiable patterns, technical analysts also work under the assumption that the market price of a security at any specific moment in time is the most accurate representation of the value of said security. There are several different techniques of technical analysis that may be carried out in order to assess and predict the value and movement of a security. One of these techniques involves conveying trends in market price movements on a chart, while simultaneously minimising the visual impact of small random movements, providing the analyst with an overall image of the security’s general direction of movement. This is known as a Moving Average (MA). Other forms of technical indicators include trend lines and momentum indicators, for example Moving Average Convergence Divergence (MACD). These are both examples of technical indicators and provide analysts with a visual representation of the general direction of a security’s price movement over a desired period of time. This period of time can vary greatly depending on the trader’s desired outcome. 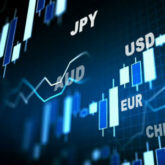 Technical indicators such as these, present the trader with a chart portraying a security’s strength and movements which can range from several months to couple of minutes. With the aid of our technical analysis course you will be able to gain a better understanding of the basic concepts and theories of technical analysis. As well as this, you will be provided with the opportunity to study various practical examples which include detailed step-by-step guides explaining how to employ this useful knowledge to maximise your profits as a new trader.